If you have been following my posts in this blog, you probably noticed that I removed my last two previous posts because I got penalized by Google for scrapping the contents of my other blogs which in turn dropped the rankings of my web pages on the SERP. Since I have several blogs and I don't have much time posting on each of them basically because I am too busy with my personal life. I was planning to combine the posts of my blogs into one blog, which apparently turns out bad for me. Hopefully, by removing those posts, it will help me get back my web pages to the spot where they were before on the SERP. Even though I know the fact that a site can get penalized or much worst banned by Google for having duplicate contents, it turned out that I got careless and didn't even thought about that. I hope that this serves as a warning to all webmasters and bloggers out there. 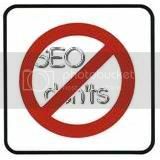 On this post, I'm going to share some SEO DONT'S that I know to avoid getting your site banned by Search Engines. Cloaking is a black hat SEO technique which delivers content based on the IP adresses or the user agent HTTP. When a user is identified as a SE spider, it delivers a different version of web page not presented to an internet user. The purpose of this is to deceive Search Engines, but Google and other SE's say they can detect it. Doorway Pages are web pages made for spamming the index of SE's with the purpose of sending internet users to a different page. Keyword stuffing is the act of adding too many keywords to a page. This is either meta tags or web page content. Duplicate Contents is when several websites have the same contents. Normally, Google will give a penalty for this and the keyword of the web page won't rank high on the SERP. Bad Neighborhoods are those websites that uses unethical SEO techniques to get high search placement in the SERP. For more info, see What is a bad neighborhood?. Algorithm is a programming rule that tells how search engine indexes contents. Alt Attribute is the alternative text description for images. Anchor Text is the text part of the link. This is used by search engines as an important ranking factor. Back links are inlinks, inbound links, incoming links (whatever you want to call it) pointing to a web page. Banned this happens when search engine blocks your site from appearing in its SERP. Black Hat SEO this is the optimizations that are against the guidelines of search engine. Blog is a website also known as "weblog". It is an online diary with regular entries of commentary, description, events, or other materials. Entries are commonly displayed in reverse-chronological order. Cache is the copies of webpages stored on internet user's hard drive or in search engines database. This is why web pages loads quickly when they hit the back button in their web browsers. Cloaking is a black hat SEO technique in which the content presented to the search engine spider is different than the content presented to visitors. Cookie is the information stored on searchers computer by a web server while accessing a particular webpage. Directory is where websites are group into categories with description by group of human editors. Forum or message board is a place where discussions on related topics takes place. Forums are also used by search engine optimizers and webmasters for information exchange. Google is the world's number one search engine founded by Standford University students Sergey Brin and Larry Page in 1998. Google bot is a search bot used by Google to collect documents from the web to build a searchable index for the Google search engine. Gray Hat SEO is an search engine optimization using both Black Hat and White hat techniques. Heading tag is an HTML tag often used to denote a section heading of a web page. SE pays attention to text marked with a heading tag. Home Page is the main page of a website also known as front page or web server directory index. Usually the home page accumulates the most page rank score since other sites usually links to it the most. HTML stands for Hyper Text Markup Language. HTML is a computer language used to create pages and content on the web. Hyperlink is a text or graphics that, when clicked on takes the user to another web page location. Inbound links are links that point to your site from other web pages, also inbound links are important asset that can improve your site's PR (Page Rank). Inlinks another synonym for back links. Key phrase a search phrase composed of keywords. Keyword is a word that search engine user use to find relevant web pages. It is also the term that captures the essence of the topic of a document. Keyword density is the number of times a keyword or key phrase appears on a web page. Keyword popularity is the number of occurrences of searches done by internet users of a given keyword during a period of time. Keyword research is used in search engine optimization to find and research actual search terms people enter into the search engines. Keyword stuffing is the act of placing excessive amounts of keywords into a page for the purpose of boosting page's ranking in SERP. Its use is strongly discouraged. Keyword rich is when a given page is full of good keywords rather than bunch of meaningless words. Link bait or Link baiting is one of the great ways to get backlinks. 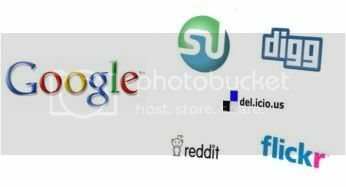 This is something on your site that naturally attracts backlinks from other web pages. Link farm is a group of websites that all hyperlink to every other site in the group for the purpose of inflating link popularity or Page Rank. Participating in a link farm could get your site banned by search engines. Link Popularity is the number and the quality of the inbound links pointing to a given web page. Links are text or graphics an internet user clicked to get to another web page location. Meta description is a hidden HTML code that describes the content of a web page in search results. It should be relatively short; around 12 to 20 words is suggested. Meta keywords is a hidden HTML code pertaining to the web page content. It is now ignored by most of the search engines because search engine spammers have abused this tag. Nav bar stands for navigation bar. It is a web site's navigation icons usually arranged in row down the left hand side or along the top and plays crucial roles in getting site's visitor to go deeper in the site and also directing the spiders to the most important content of the site. Outbound links are links from your web pages to another web page in different domain. Page Rank(PR) is an algorithm use by Google search engine to measure the authority or relevant importance of a web page. Reciprocal links is the practice of trading links between web sites. Search Engine is a web site that offers its visitors to search for information on the World Wide Web. Search Engine Marketing (SEM) are strategies and tactics that seeks to promote websites by increasing their visibility in search engines. Search Engine Optimization (SEO) is the process of getting high search placement in organic or natural listing of search engines. Search Engine Result Page (SERP)is a page where results of search query are listed. Spam is a manipulation technique that violates search engine guidelines. 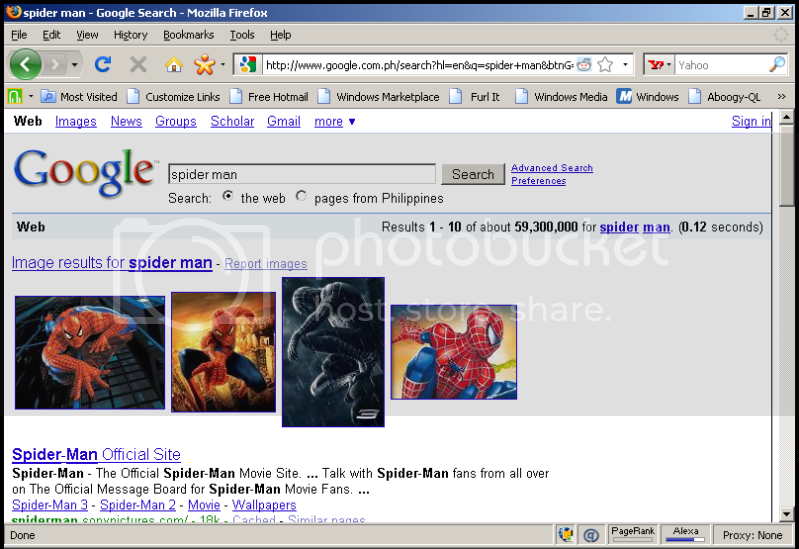 Spider is a robot sent out by search engines to catalog websites on the internet. It is also known as a bot or crawler. Tagging is a non hierarchical keyword assigned to a piece of information such as bookmark that helps describe an item and allows it to be found by searching or browsing. Title tag is one of the most important bit of text on a web page as far as search engine is concerned. It can be found at the very top of the browser window, above "back", "forward", "refresh". Traffic is the number of times a website is viewed by a unique visitor within a stipulated time. Unethical SEO is a search engine optimization tactics which violates search engine TOS, term of service that can put a site at risk of being penalized or banned. Unique visitors is a term used to describe the total number of visitors to a site over a certain period of time. URL stands for Uniform Resource Locator. It is the address of a web page in the world wide web. White hat SEO is the ethical SEO techniques approved by the search engines. XML stands for Extensible Markup Language. XML is a simple, very flexible text format used to syndicate or format information using technologies such as RSS. Yahoo is one of the top 3 search engines. It is also one of the oldest and most established directories on the web. If you know other SEO terminologies that are not included in the list, you may leave it in the comment section and I will be glad to add it in.